DermaVie Hydrafirm Anti-Aging CremeReview: Health and Beauty? 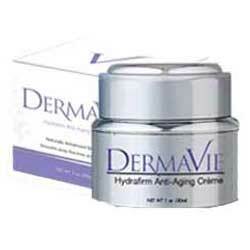 DermaVie Hydrafirm Anti-Aging Creme Review: Health and Beauty? Health and beauty — there shouldn’t be a confusion and rather put an “or” in between. It was never a choice, and never should you compromise your health to attain youth. DermaVie Hydrafirm Anti-Aging Crème seems to have weighed on what’s safe and effective when it put together its beneficial skin formulation that consists of alpha-lipoic acid, retinol, Vitamin C, Coenzyme Q10, hyaluronic acid and salicylic acid. All of which have been found to have real, lasting benefits to the skin, have been trusted to care for skin for some time now, and none have been found to have detrimental effects to the skin, that is, except perhaps for retinol. This product claims toboost your skin’s moisture levels so that it becomes more elastic and less prone to growing multiple signs of skin aging. Other than that, the hydration boost, and the vitamin C, Coenzyme Q10 and hyaluronic acid in its formulation all target higher levels of collagen production. Collagen is your skin’s primary component that functions to power up and facilitate skin repair and restructuring, and is particularly important in making sure that skin regeneration happens much faster than skin degeneration. DermaVie Hydrafirm Anti-Aging Crème is available for $119.95, and is available for an 18-day free trial offer which, if you choose to avail of, you should make sure that you read and understand its terms and conditions before you order. Cleanse skin thoroughly then tone. Apply DermaVie Hydrafirm Anti-Aging Crème and massage in to better incorporate into skin. None of the product ingredients mentioned by far have been found to have detrimental effects on the skin. This product is very expensive. 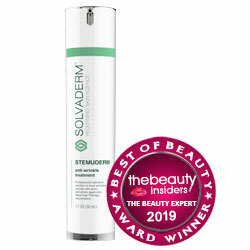 It also contains retinol which may thin your skin, and make it more prone to photoaging. Make sure to apply sunscreen throughout the duration of product use to prevent sun damage. Vanity should never be a choice between beauty and safety. If you have any doubts, look it up some more, and if your fears are validated and you’re not willing to subject yourself to possible long-term side effects, there’s always another product waiting to be discovered. That’s the beauty of competition afterall.